With the support of EarthRights International, the Peruvian Chaupe Family announced this week that they intend to appeal a recent decision by a federal court in Delaware that ruled that their case against Newmont Mining Corporation (NYSE:NEM) should be heard in Peru – not Delaware, where the company incorporated almost 100 years ago. Newmont said management was pleased with the recent ruling. “I believe most legal experts would agree that the court in Delaware made the right decision,” the company’s Corporate Communications Executive, Omar Jabara, said in an email to MINING.com. The Delaware court’s decision follows a motion filed by Newmont in 2017 to dismiss the Chaupe’s lawsuit filed in September of the same year. The miner claimed the doctrine of Forum Non Conveniens, which states that another court, which in this context means one in the South American country, is much better suited to hear the case. 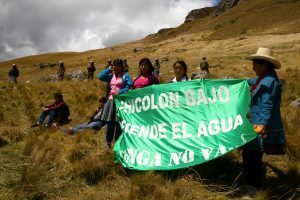 The Chaupe’s lawsuit, on the other hand, stated that Máxima Acuña de Chaupe’s home was destroyed as part of the construction process of Newmont’s $5-billion Conga gold and copper project. 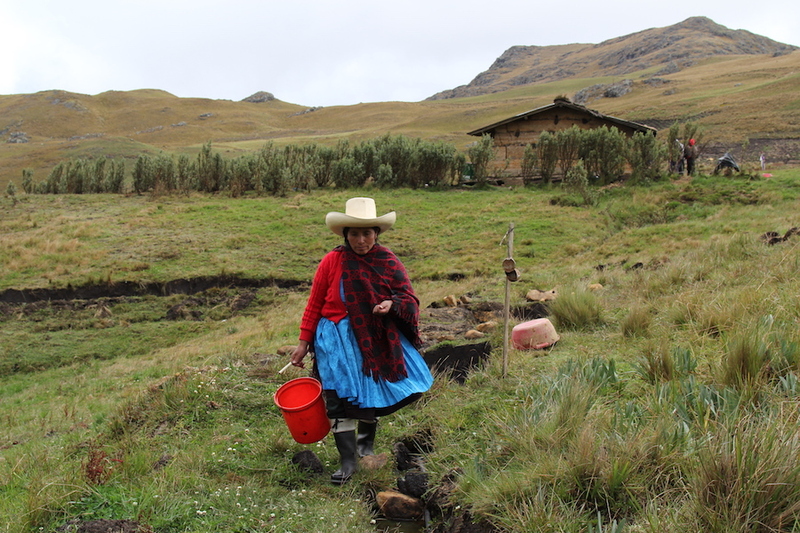 The Peruvian potato farmers say their attempts to rebuild the matriarch’s house have been blocked through the use of harassment and violence. Jabara was quick to respond to accusations regarding Newmont’s alleged improper behaviour and influence over Peruvian courts. The executive mentioned how some rulings around this case have been in favour of the miner, while others have sided with the Chaupes. “Ms. Chaupe’s supporters have boasted extensively about previous court rulings in Peru that were in her favor. Therefore, the false allegation that the Peruvian courts have somehow been ‘corrupted’ can’t logically be true,” his online communication stated. This is a new development in a case that dates back to 2011 when Newmont’s construction plans were set to begin on a piece of land known as “Tragadero Grande.” The package is located within the Community of Sorochuco, in the northern Cajamarca region, and both the company, through its majority-owned partner Minera Yanacocha, and the Chaupes claim distinct rights to access and use the parcel. The land was bought between 1996 and 1997 by Minas Congas, which was later sold to Yanacocha. Following the first 2011 encounter between the miner and the farmers, the latter started denouncing that certain Newmont entities, together with Minera Yanacocha and its local security contractor, Securitas, and the Peruvian National Police, were harassing and abusing them. The U.S. firm denies the allegations of abuse and validates them with a report issued by RESOLVE, an organization that specializes in dispute resolution techniques, which found that Yanacocha followed a reasonable process for land acquisition. avoiding confrontation and respecting human rights. We continue to invite the Chaupe family to join us in direct, good-faith dialogue to reach a fair and durable resolution and ask that they refrain from undertaking new incursions onto company land adjacent to the disputed parcel," Newmont has said in corporate statements. However, in May 2017, Peru’s Supreme Court ruled that the Chaupes, and particularly their matriarch, did not incurrn in 'aggravated usurpation' of the land. Two civil cases to determine ownership of the land are still winding through the courts. The longstanding legal battle coupled with fierce community opposition ended up forcing the world's 2nd largest gold miner to walk away from the project in 2016. Conga, which had the potential to generate up to 350,000 ounces of gold and 120 million pounds of copper a year, during its 19-year life, was going to be built close to Newmont’s existing Yanacocha mine, Latin America’s largest gold operation.